Develop a program to offer financial support to parties engaged in Tibetan Spaniel Rescue and Tibetan Spaniel Health Research. 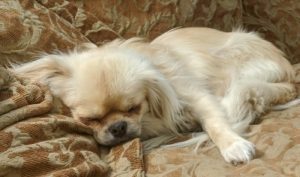 Develop and maintain references about rescue for the general public, including, but not limited to, providing information to owners considering placing a Tibetan Spaniel in rescue and persons interested in obtaining a Tibetan Spaniel from rescue. Develop and make available to the general public information about the proper care, treatment, breeding, health development and training of Tibetan Spaniels, including the importance of training and socialization. Develop and enrich understanding of the diseases and genetic anomalies which affect Tibetan Spaniels in part through supporting the creation and maintenance of a database of health information about the breed. Support and promote the study of and research on the genetics and health issues which affect the Tibetan Spaniel. Develop and make available to the general public and the purebred dog fancy information about the proper care, treatment, breeding, and development of the Tibetan Spaniel as it relates to the health and well-being of individual dogs and the breed as a whole. Guidelines: Develop guidelines to govern the circumstances and manner in which the Trust offers financial support to rescue groups, individuals, and health research activities. Publicity: Publicize the availability of rescue funding and health research funding by maintaining the Trust’s website and by other means such as the TSCA Newsletter and website. Publish information about the symptoms and treatment of Tibetan Spaniel health problems such as PRA, hip dysplasia, cataracts, epilepsy and liver shunt on the website and in appropriate media. Provide information about recommended health clearance tests. Survey: Develop a comprehensive health survey for the Tibetan Spaniel and disseminate the results of the survey to the public. Public Education: Develop brochures to address Tibetan Spaniel health issues, Tibetan Spaniel rescue policies and procedures, and standardized puppy buyer information to include basic information on health issues and socialization. Make the information developed available to the public free of charge. Research Funding: Based on data collected from the health survey, research opportunities to fund medical research and donate in support of research in areas that directly affect the Tibetan Spaniel. All research funding will be considered on a case-by-case basis. See Financial Status for information on how Trust activities are funded. For a pdf, click Declaration of Trust.